Thank you to everyone who joined us for our first outdoor yoga fundraiser to #EndAlz. 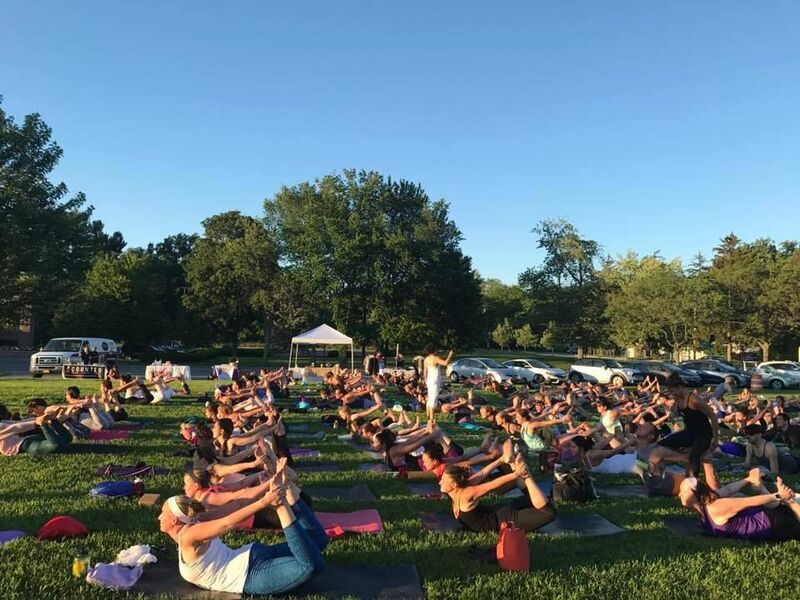 This special session took place on the lawn at Stuyvesant Plaza and was a celebration of international yoga day and the summer solstice. We had over 145 participants and raised over $3,000 for the Alzheimer’s Association. The Hot Yoga Spot loved hosting this fundraiser and coming together as a community for such a special event. We want to extend a big thank you to our instructors for the evening, Amy, Kayla, Mary Beth, Melissa and Sheryl. We also want thank our partners; Alexander’s Bakery, Athleta, Blaze, Bellini’s Counter, lulu lemon, Plexus, Starbucks and Latham Beverage Center. These businesses donated goods for participants, brought fun items to purchase before class and helped raise money for the Alzheimer’s Association. Lastly, we want to thank all of our students for being such an important part of The Hot Yoga Spot community.